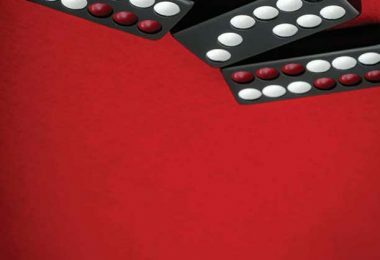 WGM concludes our three-part series on the complex yet fascinating game of pai gow. 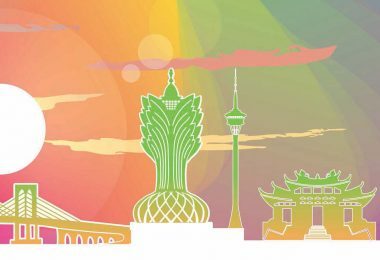 Pai gow is a fantastic game, steeped in Asian heritage, which combines luck, skill and culture. And those pai gow tiles are sure fun to hold! 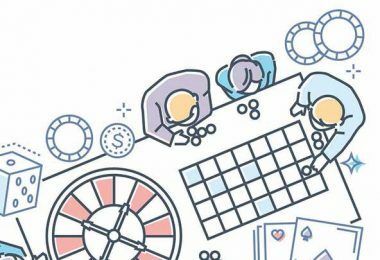 The complexity of pai gow has scared many away, but if you take some time to appreciate the game, you will have found a truly great betting option. 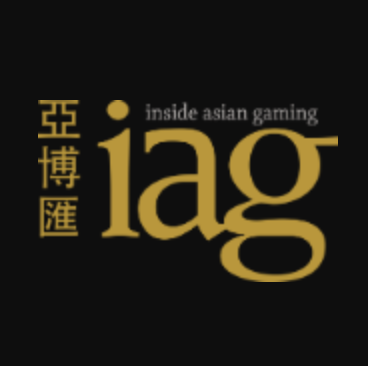 Explaining pai gow is such a large subject, we’ve split it into three articles. You can find Parts A and B on our website at www.wgm8.com. These hands fall between pairs and standard hands. They are weaker than any pair but stronger than any standard hand. The secret to wongs, gongs and high 9s is that they all have a teen or a day tile in the hand. Back in part A we explained that gee joon is the highest ranked pair, then teen is the second highest ranked pair followed by day, which is the third highest ranked pair. Obviously any hand with a teen tile in it will be stronger than any hand of the same total with a day tile in it. A wong is a combination of a teen tile or a day tile with a chop gow tile (the only tiles with nine pips). Wongs are difficult to come by, as there are only two tiles in the entire deck with nine pips. Teen wongs beat any non-pair hand and day wongs beat any non-pair hand (except a teen wong). These can be confusing hands for beginners as the total number of pips is 21 with a teen wong, and 11 with a day wong. So if these hands were considered standard hands, they would be very weak, totaling just 1. Wongs are exceptions you just have to learn. 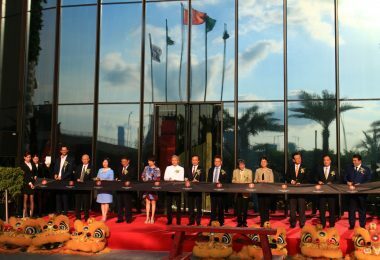 A gong is a combination of a teen tile or a day tile with a tile with eight pips on it. There are four tiles with eight pips on them so gongs are more prevalent than wongs. These can also be confusing hand for beginners as the total number of pips is 20 with a teen gong, and 10 with a day gong, so if these hands were considered standard hands, they would be the absolute weakest, totaling 0! Gongs are also exceptions you just have to learn. A high nine hand is sometimes included in the standard hand section, as they follow the same addition rules that standard hands do. We prefer to include high nines in with wongs and gongs as they help the player identify the importance of the teen and day tiles. Also, there are numerous tile combinations that add up to nine that are not high nines, but instead are just “standard” nines. Playing high nines is a very sound way to play. 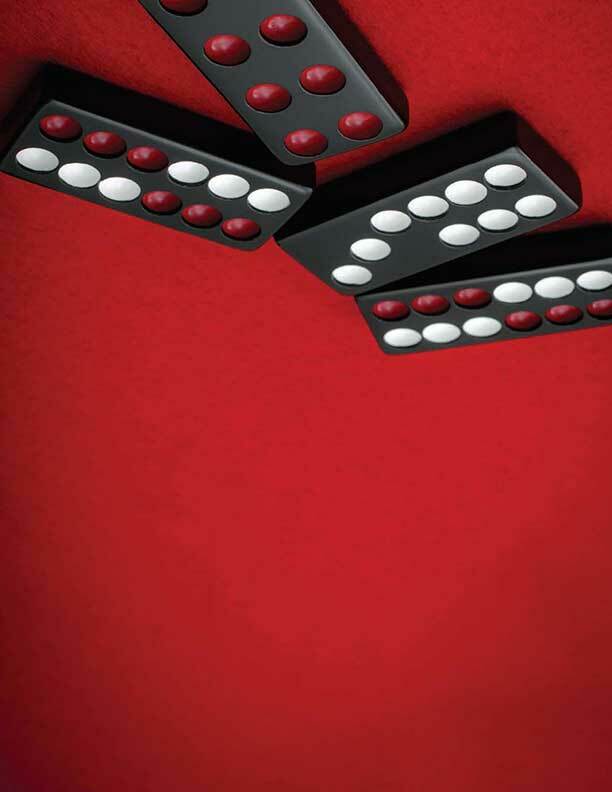 A high nine hand occurs when a teen tile or a day tile is combined with a tile that has seven pips on it. There are two tiles that we haven’t covered in detail yet: the two gee joon tiles. They have a few rules to themselves and along with the teen and day tiles form the strongest hands in the games. You should already realize the gee joon pair is unbeatable. If you are dealt these two tiles and play them as the gee joon pair, the worst outcome will be a push if the banker beats your low hand. Now for the two big differences about these two tiles compared to the other 30. Firstly, either tile can be played with a value of 3 or 6. They can be used as a “wild” tile in this respect (but only for values of 3 or 6, not any other value). Let’s have a look at some examples. This is a total of 9 regardless of which gee joon tile you use, as either gee joon tile can be played with a value of 3. This is a total of 8 regardless of which gee joon tile you use, as either gee joon tile can be played with a value of 6. 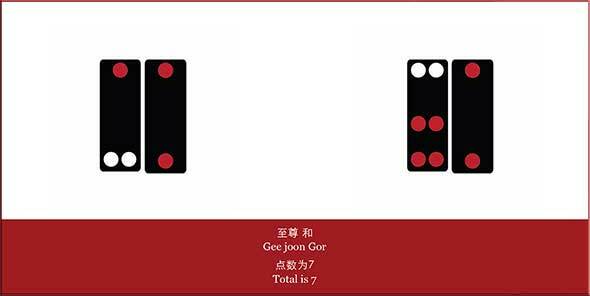 This is a total of 7 regardless of which gee joon tile you use, as either gee joon tile can be played with a value of 3. This is a total of 6 regardless of which gee joon tile you use, as either gee joon tile can be played with a value of 6. If you use the two gee joon tiles together they become the most powerful, and therefore unbeatable, pair. But when you use them separately in a normal hand they have the advantage of being a three or a six but are the weakest tile with regard to individual ranking. 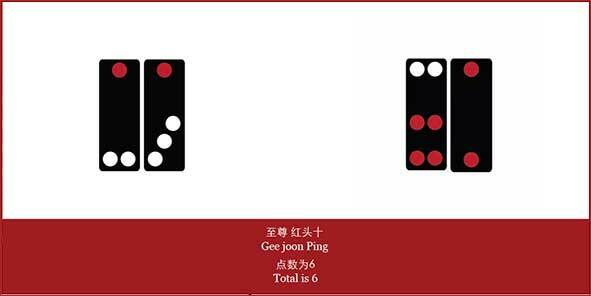 In the event of a gee joon tile being involved in a tied hand it will be the other tile paired with the gee joon tile that will be used to decide the hand. Both hands total 4, with each gee joon tile acting as a 6. 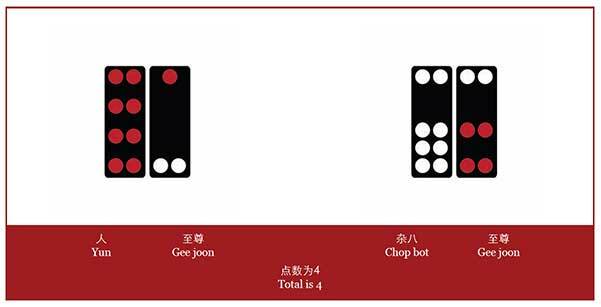 The hand with the yun (the red eight) is the stronger hand even though both hands total 4, as the hands are judged on the tile that isn’t a gee joon tile, and yun outranks chop bot. 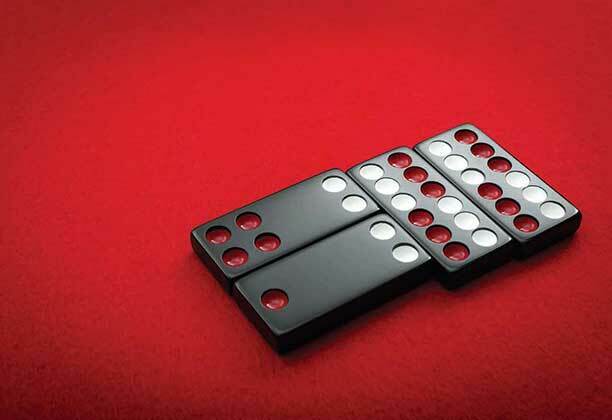 If you are playing in the casino and are unsure ask the dealer to set your tiles the “house way”. If you are playing on a friendly table the other players will give you time to set your tiles and may even offer some advice. Play and practice the game socially with friends or at home. Get a set of tiles and practice setting hands. It will make you more popular at the casino as you won’t be holding everyone up. If you pick up a strong hand like a pair, a wong or a gong, play it at the expense of your low hand. If you don’t get a big hand, play the biggest low hand possible. This is standard strategy for pai gow.